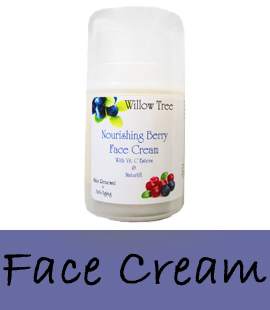 of Berries, Tamanu, Naturlift, Vit.C Esters, Rosehip and Aloe deliver moisture and anti-oxidants to the skin! This cream is gentle but rich and will quickly absorb into the skin with no sticky residue! As always no toxins, dyes, parabens, fragrance, or chemicals! Made for all skin types. Directions: After cleansing skin, apply to your face and neck morning and/ or night. Our health conscious customers will love this worry free formula. This intensely rich cream is so versatile for face, hand and body. The beneficial ingredients of Green Tea, Olive Fruit, Coconut and Pomegranate deliver deep moisture for sensitive skin. This cream will melt onto the skin and will quickly absorb with no sticky residue! As always no toxins, dyes, parabens, fragrance, or chemicals! Made for all skin types. Our buttery cream formulation is perfect for sensitive, dry skin. The rich butters of Shea, Cocoa, Mango, and Kokum Seed deliver deep moisture while the beneficial ingredients of Avocado, Carrot, Calendula and Aloe provide a delicate balance for sensitive skin. This cream is rich but gentle and will quickly absorb into the skin with no sticky residue! As always no toxins, dyes, parabens, fragrance, or chemicals! Made for all skin types. Quench your skin's thirst with this deeply hydrating, antioxidant packed elixir to rehydrate and nourish your skin with a high concentration of powerfully anti-aging red wine resveratrol. 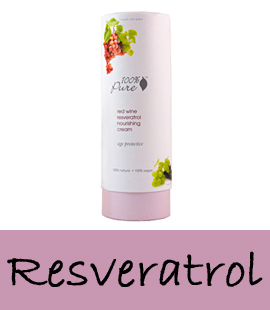 Highly nutrient rich moisturizer softens and fortifies skin. 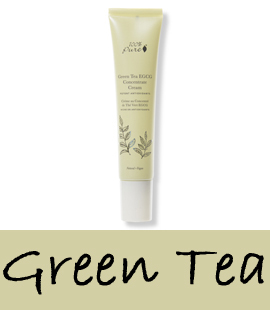 EGCG, the potent antioxidant from green tea, protects against environmental damage. There's a difference between 'hydration' (which is feeding your skin water) and 'moisturization' (which is feeding your skin oil). This lightweight, quickly absorbing formula is extremely 'hydrating'; Hydra Drench re-hydrates thirsty skin cells with omega fatty acid rich gel water from chia seeds. All skin types need hydration, just like how everyone needs to drink water. If you have oily skin, this hydrating formula is all that you'll need! If you have drier skin, you may need additional "oil" moisturization to layer over this formula.